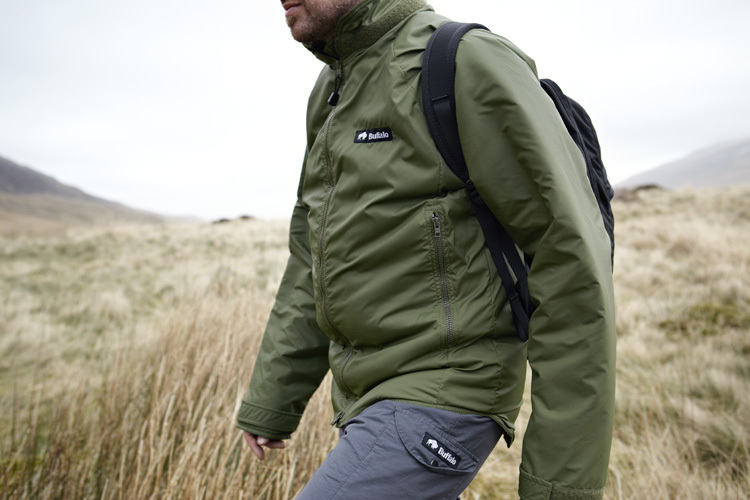 A light, short compact jacket used by Military, Police, Mountain Rescue Teams and outdoor professionals. Ideal for a multitude of outdoor uses including: hill walking, climbing, canoeing, sailing, cycling and general outdoor activities. Brilliant! Superb! Great fit, great comfort, great performance! Simply the best bit of kit I’ve ever owned. Had one for twenty years – yes 20! Trekked in Nepal, worn under a leather on a motorcycle tour in NZ. Worn all the time for everything. Massive pockets (bottle of wine fits in one!). Comfy, light, warm, snug and one of the best features is when not worn will stuff into a very small bag, try that with a fleece. It’s been like security blanket to me and I lost it!! Excuse to buy a new one. The pile was getting a little flat and thin. Brilliant. The only jacket you need. I have 2 of these for work, one with a detachable hood which I leave on all the time and one without. Use at work everyday as an Engineer in construction in Scotland all year round. Good length for jumping in and out of 4×4 s without having to remove for driving. Hood cosy and keeps drafts out, jacket is very windproof, drys quickly and keeps you warm when wet. In fact I may get another in a different colour for casual use too!! Shame they are not made in Hi Viz yellow or orange to satisfy requirements of Hi Viz Safety clothing, This would be a massive top seller! Owned this with velcro hood and shirt for over 20 years. Best kit ever. Durable, comfortable, warm, fits well with harness. I will replace this winter as looks very scruffy now and there are lots of rips from years of abuse and the cuff stitching has gone. Still perfect for climbing chimneys and off widths. Very snug when shirt and jacket are worn together. I hope the new jacket is made from the same durable materials and to the same high standards. Keep manufacture in Sheffield! I’ve used my Belay jacket for the day job for over 10 years, and it is the most versatile and useful piece of kit I have in the van. Unfortunately it is being retired due to a new company policy requiring all our clothing to be electrical arc proof. I’m never going to be warm during the winter again! It will still be kept in good use at home though. Any chance Buffalo could make a hi-vis arc proof Belay jacket? Please? We can make Belay Jackets with Hi Vis reflective tape on, but not arc proof. Sorry. had two. first one for 10 years. second one currently for 11 years. I have long arms so I sewed wrist cuffs in. do you do special fit or extra long arms. warmest for weight piece of kit I ever owned. I live in it during cooler months. worn under bike leather with unfaired bike. great to throw on after running in winter. slept in this without a bag outdoors on occasions. I prefer the full front zip for everyday use ie, going to work, the pub, casual wear etc..when they eventually wear out, I make chest warmers and wrist warmers out of the leftovers. Yes, we can make ‘specials’ with longer arms. If you contact us, we can put you in touch with a retailer who can help you order one. Glad you are happy with your Belay Jackets. Not alot to say, those who know, wear Buffalo. Had a special 6 shirt for 15yrs of very hard use and have just purchased a Belay Jacket. Tab in the hills or a quick pint in the pub… great jacket. 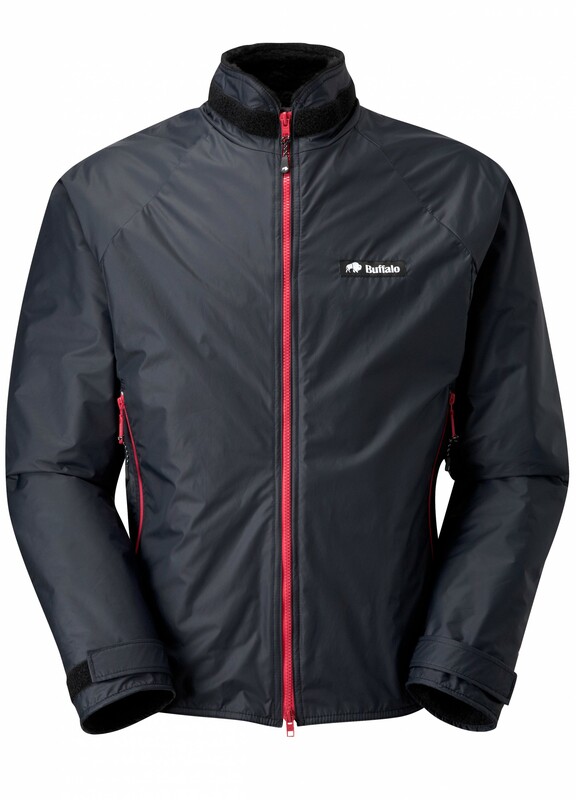 I’ve had my Buffalo Belay jacket for 2 or more years and it has been my go to jacket for cooler and more inclement weather. Its bomb proof, cosy and has enormous pockets (which are like a packing cheat; take a 30l bag on a winter overnight, when you then have spare gloves hat, phone, pen, romer, food and sometimes a 0.5l Thermos in the pocket!). I have worn in summer Alps in Switzerland walking up to around 3000m and for a few winter trips in Scotland. My only gripes are the pockets, through my heavy use, they have a small hole in the pile inner and the lovely red zip paint has come away slightly. In heavier rain, I have used a shell layer, but you need to remove this quickly to help the buffalo ‘work’ if you’ve been walking / climbing and generating your own moisture. Although as a serious winter jacket to rely on, I’d use this without hesitation. 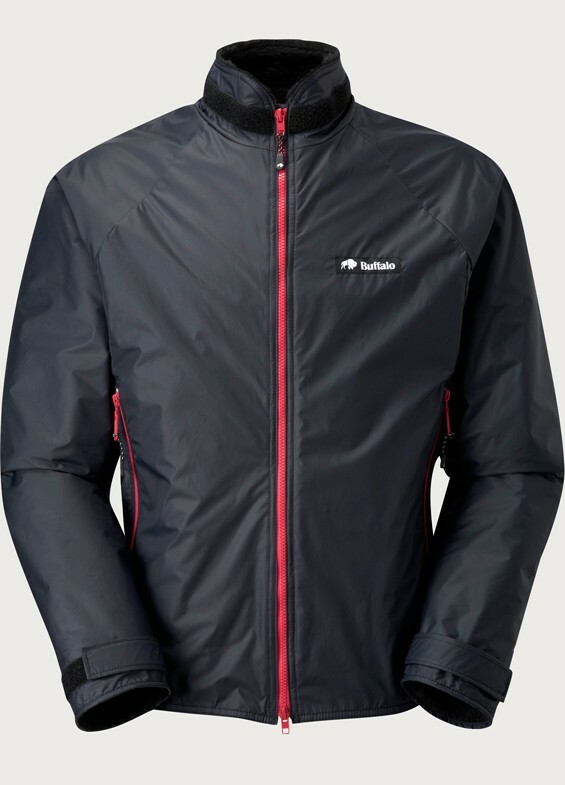 I replaced this recently with a Buffalo Alpine jacket, which is going to see further use this winter, but that jacket has a ‘one size’ hood, which, with my big head, makes it a squeeze and has much smaller external pockets, although the shell is more resilient to rain. Once that has worn or I can find an excuse, I will replace again with another Belay Jacket, as they are so versatile for winter and I can add a hood that fits! I’ve had my Belay jacket for a couple of years now. It’s basically the first winter coat I’ve ever had that works, in that I have just never been cold while wearing it. It’s been up Skiddaw and Whernside in the foulest weather, I’ve slept in it while camping, I’ve stuck it on to get warm after swimming in the North Sea. It’s taken it all in its stride; even the missus respects it’s uncanny ability to keep you cosy and warm. I’m a Sheffield lad, so it’s extra satisfying to know that it was made in my fantastic home town.